Learn how to easily crop and resize an image to fit in any frame size you need using the Crop Tool in Photoshop! For Photoshop CC and CS6. 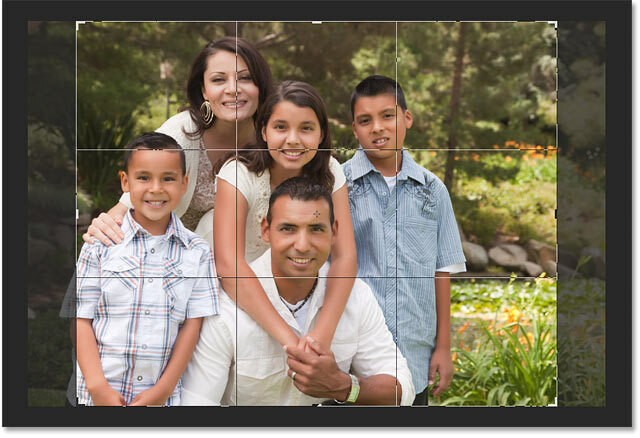 When resizing an image for print, a problem we often face is that the aspect ratio of our image is different from the aspect ratio of the frame we want to place the image into. Since we can't change the frame size, we need a way to change the aspect ratio of the image. In this lesson, I'll show you how easy it is to both change the aspect ratio and resize your image for the highest print quality using Photoshop's Crop Tool! Let's see how it works. 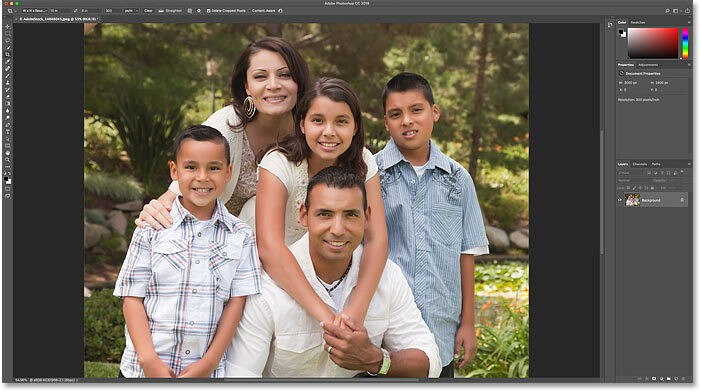 I'll be using Photoshop CC here but you can also follow along with Photoshop CS6. Setting the Width value makes the Height wrong. Setting the Height value makes the Width wrong. Unlinking the Width and Height values and setting them independently. The image looks distorted after unlinking the Width and Height. 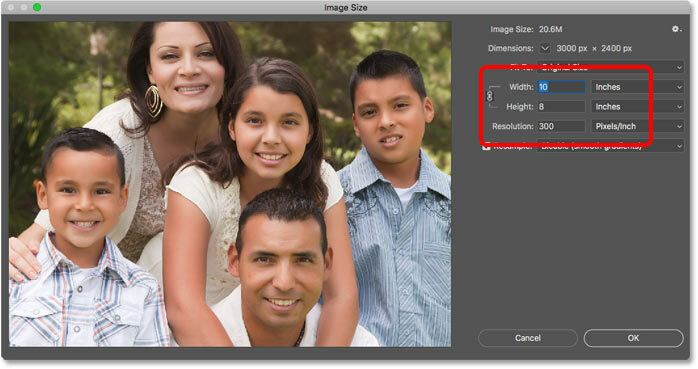 Canceling and closing the Image Size dialog box. What we need is a way to crop our image to the same aspect ratio as the frame before resizing it. And we can do that using the Crop Tool. 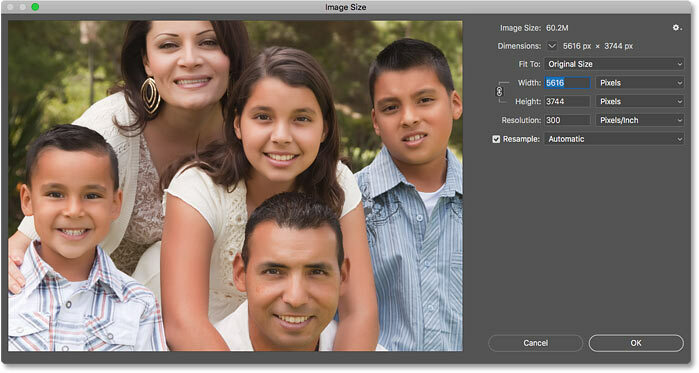 In fact, the Crop Tool lets us crop the image and resize it for print all in one shot! The crop border and handles appear. 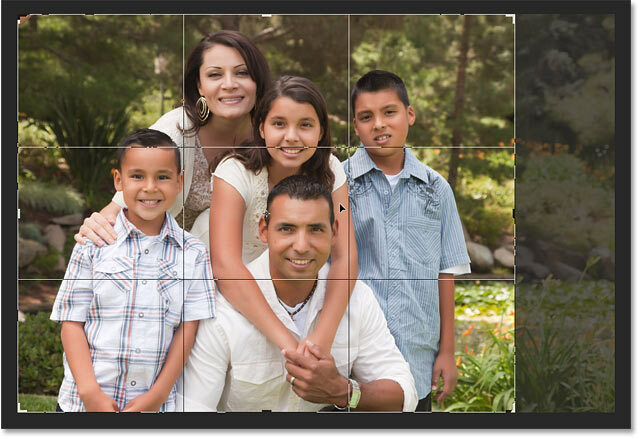 Entering the new aspect ratio into the Width and Height fields. 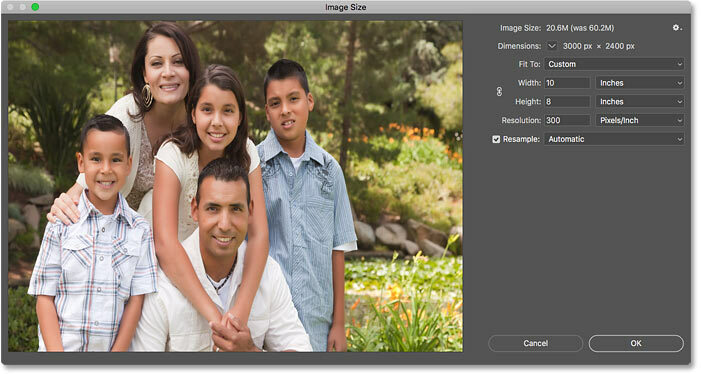 The crop border has been resized to the new aspect ratio. Clicking the Aspect Ratio option. Choosing "W x H x Resolution". Entering the width and height, this time in inches. 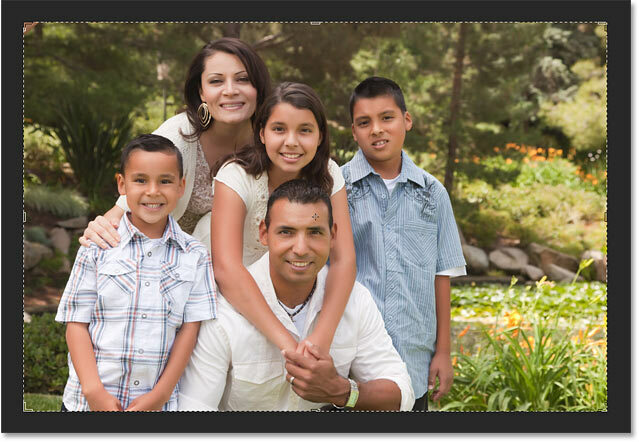 Dragging the image to fit the subjects inside the crop border. Clicking the checkmark to crop and resize the image. 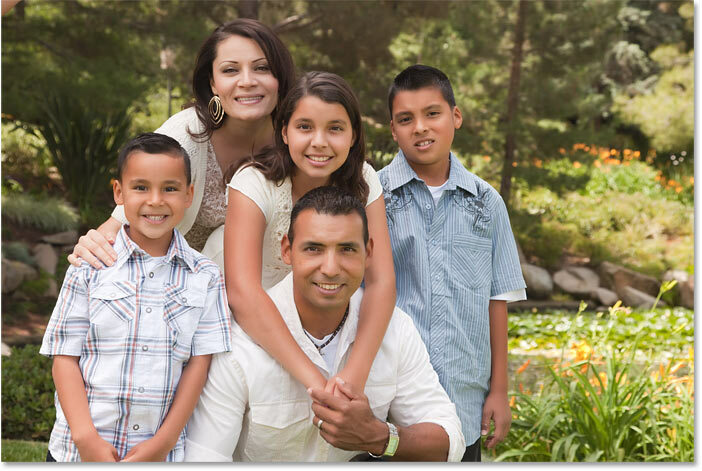 The image after cropping and resizing it to the 8 x 10 frame size. Confirming the new print size. And there we have it! In the next lesson in this chapter, I show you how the Crop Tool's Content-Aware feature can add more room to your photos by automatically filling empty space with more photo!